Part of the sophisticated "Just My Type" range, these simple luggage tags are a versatile addition to your wedding stationery. 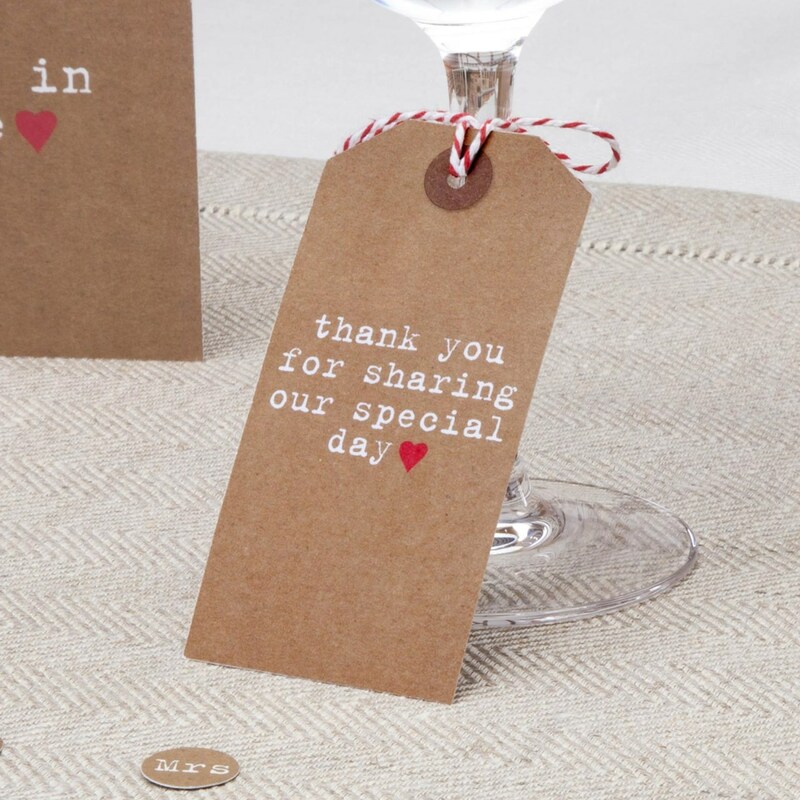 Featuring a heart-warming message and a simple red love heart, the tags can be used alongside wedding favours or as an embellishment around cutlery or napkins on your table settings. Made from high-quality card and finished with red and white string, these tags can be used on their own or co-ordinated with other pieces in the collection.